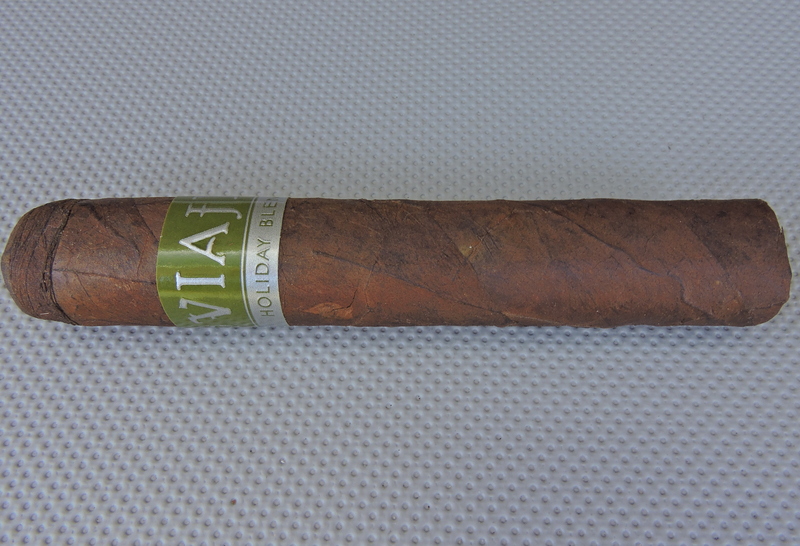 The sixth edition of the Viaje Holiday Blend gets a makeover for 2015. This cigar features is made at PDR Cigars for the first time. It is Viaje’s first foray into Brazilian Arapiraca wrapper, and it’s the first box-pressed Holiday blend. Overall the cigar delivers a great flavor. This is definitely a strong blend that is full strength and full-bodied, but with lots of flavor.